When adding any ScrollView element to an object's UI, if the scrollview or any of its parent elements have the rotation attribute, the ScrollView becomes a featureless, gray box and displays no children. In the case of a element parent having a rotation, the ScrollView can be made to work if its own rotation value is set to offset its rotation back to "0 0 0", however this likely defeats the purpose of having the parent rotated. Upon further testing, the ScrollView has strange visual properties at small rotational values. 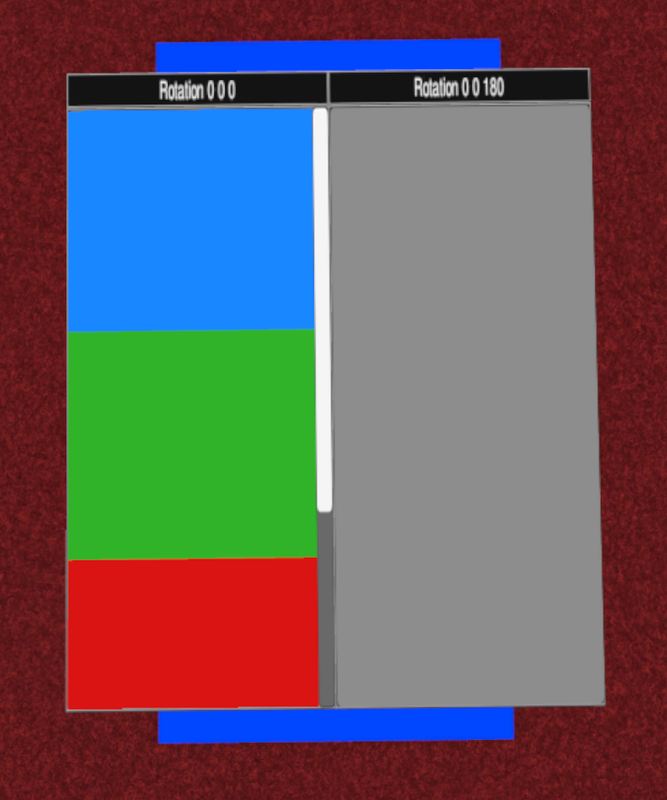 The rotated state still allows for the content to be scrolled.